What it is like to travel with Stray, Kiwi Experience or Flying Kiwi? New Zealand’s hop-on hop-off buses are action-packed, flexible, sociable and allow you to have less time planning and more time travelling and doing some of those bucket list activities. Whether its as a tour to see all of New Zealand as quickly as possible or a means of transport-meets-experience throughout an entire gap year, hop-on hop-off bus travel is a popular choice amongst backpackers. So read the “day in the life” below and see if it’s the sort of experience you want to hop on! This is how the hop-on hop-off bus works in a day. Catch the bus on time from your prearranged pick-up point. Get introduced to your driver guide and the plan for the day. Start meeting your backpacker bus passengers through icebreakers or general chitchat! Take multiple breaks from the bus: coffee, toilet, supermarket, etc. Visit attractions and do free activities as you make your way to today’s destination. Back on the bus, the driver guide books your preferred activities and accommodation for you. (Accommodation is included with Flying Kiwi). For the rest of the day, you’ll be doing activities, socialising, exploring and enjoying some free time until the sun goes down (and beyond). Start it all again tomorrow or hop off the bus to hop back on another day. “Meet at the bus at 8.30. If you’re late we’re leaving you behind!” We hope you haven’t been drinking too much the night before because it’s an early start almost every morning on the hop-on hop-off bus. Backpacks and suitcases are put on the bus, the driver guide takes your name, and you hop on the bus. You’ll either be on a large coach, where you socialise with the people around you, or you’ll be on a smaller bus where it is more likely to feel inclusive of the whole bus. Depending where on the route you are, the driver may start playing some icebreaker games with the whole bus so that you can start mingling with your new travel buddies. Switching seats when the driver calls it is a popular one. This is more likely to happen from the starting points, like Auckland, Christchurch and Queenstown. It is not really necessary everyday as people get to know each other as they progress though the bus route. Now you have got the questions out of the way that EVERY TRAVELLER ASKS EACH OTHER: “Where are you from? How long have you been in New Zealand? How long are you staying? Where have you travelled before? Blah, blah, blah,” you can start relaxing and enjoying the company of your fellow bus crew. The crowd can really change from bus to bus. On Kiwi Experience, you often have 18-25 year olds, mostly Europeans, mixed with a few other internationals and older passengers. On Stray, you are more likely to have a mix of nationalities and ages, yet their core is still the 20-something backpacker. Flying Kiwi has an average age of 27 but tends to have passengers between 20-40 years old. Getting along with these people is super easy on the bus. Passengers are like-minded, possibly solo travelling, and keen to meet new people. That’s probably why they took the hop-on hop-off in the first place! However, if you find yourself in a crowd that you don’t want to stay with, whether it’s a group of rowdy party lads that are too intense, or you want to be with that rowdy crowd of party lads and your current bus crew just doesn’t cut it, at least you can hop-off the bus and wait for a later departure. Chances are, this new bus will be more to your liking. As morning progresses, the coffee breaks start. All the caffeine addicts will be spending their NZ$5 at every stop. Oh yeah, and 30 minutes down the road, those addicts will need a toilet stop. So after a couple of stops in the morning, you’ll be back on the road again. And the road in New Zealand is never dull! This is what New Zealand is all about: the stunning scenery! The scenery that you probably dreamed about after seeing The Lord of the Rings. Better yet, you get to pay your full attention to the towering mountains, rolling green hills, volcanoes, braided rivers, deep gorges, blue lakes, rugged coastline, sheep fields and tiny Kiwi towns because you don’t have to drive – yay! You can sit back, relax and take it all in. Unlike travelling with the national coaches, the hop-on hop-off bus allows you to actually get outside and experience the landscape you’re passing through. Your New Zealand expert driver guide will stop the bus when there’s a stunning viewpoint that can’t be missed, or a crazy rock formation, or wildlife, or a free activity, or a short hike, or whatever! The most common stop on a hop-on hop-off bus is… the waterfall. Now, hilariously enough, hop-on hop-off passengers have a love/hate relationship with New Zealand’s waterfalls. In the beginning, they’re awesome. They’re everything you ever wanted and more. Then, by waterfall #12 these beautiful natural sights become just a blur. Yes, they’re stunning, but you can’t remember what it’s name was, where it was… New Zealand has spoiled you, dammit! In the quieter seasons, usually between the end of autumn and beginning of spring, when your bus is relatively quiet, you can easily ask your driver guide to stop if you want to take photos. (Or gang up on the driver during summer with your fellow passengers to convince him/her to stop the bus. The drivers tend to like a bit of banter anyway). Often enough, the driver will offer this option to you. Oh and by the way, if you’re the spontaneous kind and like one of the places in you’ve stopped at, just tell the driver you want to hop-off here! You can hop-off the bus anywhere along the route, whether you have organised this with the reservations team or driver before hand or just decided you want to hop-off. However, getting back on the bus on a later departure date may require a bit of forward planning, especially in summer when buses fill up quickly. Just call the reservations team and book yourself onto your next chosen departure bus. You’ll be given a time and place to be picked up from. If it is in the middle of the route during the day you may have to wait a while as the buses don’t tend to stick to a super tight schedule. Note that the minimum time you can hop off the bus with Flying Kiwi is 9 days, while other bus companies tend to have more frequent departures. But, let’s say you stayed on the bus because you can’t let your new friends go or you are so eager to see your next destination. Next will be a lunch stop by a pristine lake or in a charming Kiwi town. Relax, eat, take photos, hang out with your friends, just enjoy the Kiwi lifestyle for all the laid back goodness that it is. If you have been travelling on the bus for a few days in a row now, you’ll definitely cherish the downtime. Things get pretty full-on when you stay on the bus for a while. As you hit the road again, the driver guide will start to book the accommodation and activities at today’s destination. He/she will hit the bus microphone again, explain the place you’re staying tonight, how awesome it is, and what activities there are to do, and how awesome they are… You can always guarantee that the skydive in the next town is “the best in New Zealand” even if that was said about the previous skydive. Then a couple of clipboards and pens will make their way around the bus, so you can sign up to what activities you want to do and what type of room you want to stay in the accommodation. Remember, you are guaranteed your first night of accommodation but booking for more nights depends on availability. If you have booked your own accommodation, you have the option to write that down too and the driver guide will do what they can to drop you off as close to your accommodation as possible. You’ve arrived! 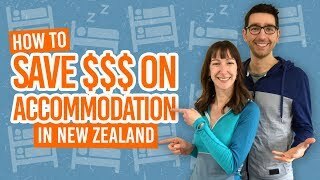 You’ll pay and check into your hostel or lodge, which is usually NZ$20-35 per night, apart from one of Stray’s unique overnight experiences both just over NZ$70 and Kiwi Experience’s one optional overnight experience. Remember, Flying Kiwi has accommodation already included in campsites. However, you can upgrade to cabins or a tent all to yourself. Now you have plenty of time left in the day to do activities. Your driver can transport between many of the activity providers they work with, or you can go off and do your own thing. If your driver guide hasn’t told you already, ask them what there is to do at this location. They travel here all the time with the bus, they’ll have heaps of knowledge! 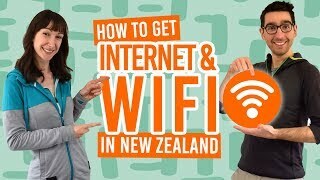 Also, don’t forget to check BackpackerGuide.NZ too for free things to do in all of New Zealand’s locations. It’s likely that a good group of your fellow bus mates are doing an activity with you, so this makes doing your white water rafting/kayaking/glowworm/caving/horse riding/parasailing/skydiving/bungy jumping all the more enjoyable to share the experience with other people. Nevertheless, there is always a group of people who want to save money for another day. So go for a hike with them, wander around town, play a card games, socialise: it’s up to you. Some evenings, the driver guide will stay with the group and initiate some ways to socialise, whether it’s a drinking game, meeting at a bar, or having a bonfire on the beach. Both Stray, Kiwi Experience and Flying Kiwi take passengers to some interesting overnight stops literally in the middle of nowhere. As some people have been travelling on the bus for a few days, there will be some evenings when people just want to relax rather than party, so don’t expect things to be too full on every night. And, with the flexibility of the tour, you can really do whatever you want to do once you get to your destination. Don’t forget to check out the rest of our articles on the hop-on hop-off buses. We have “heaps” of articles to help you make an informed decision on how you would like to travel around New Zealand.